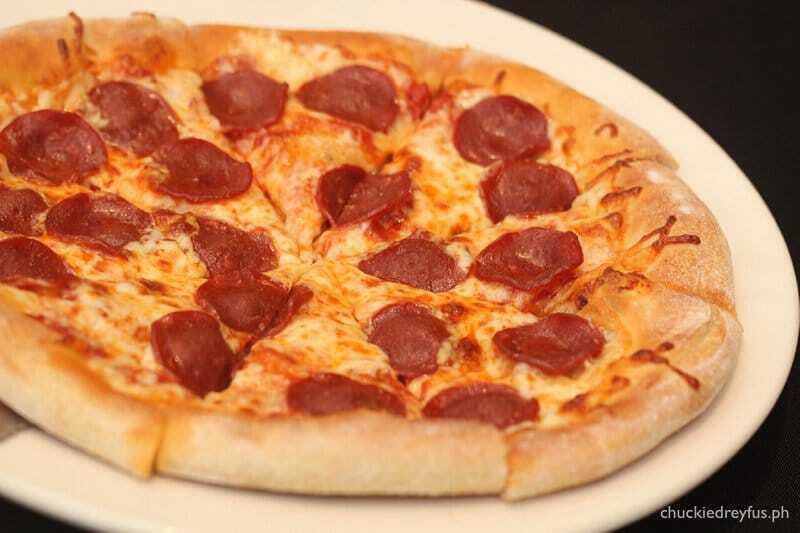 It's National Pizza Day at CPK! - All Chucked Up! 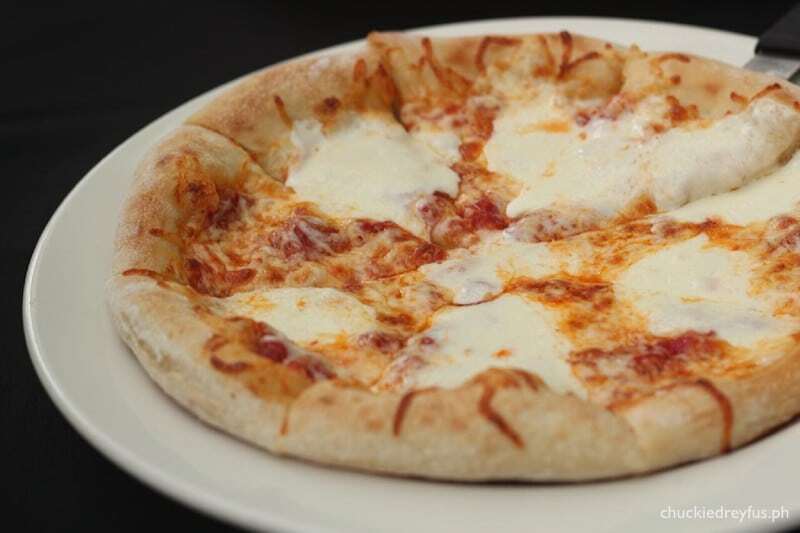 You are Here >> Home >> Featured >> It’s National Pizza Day at CPK! 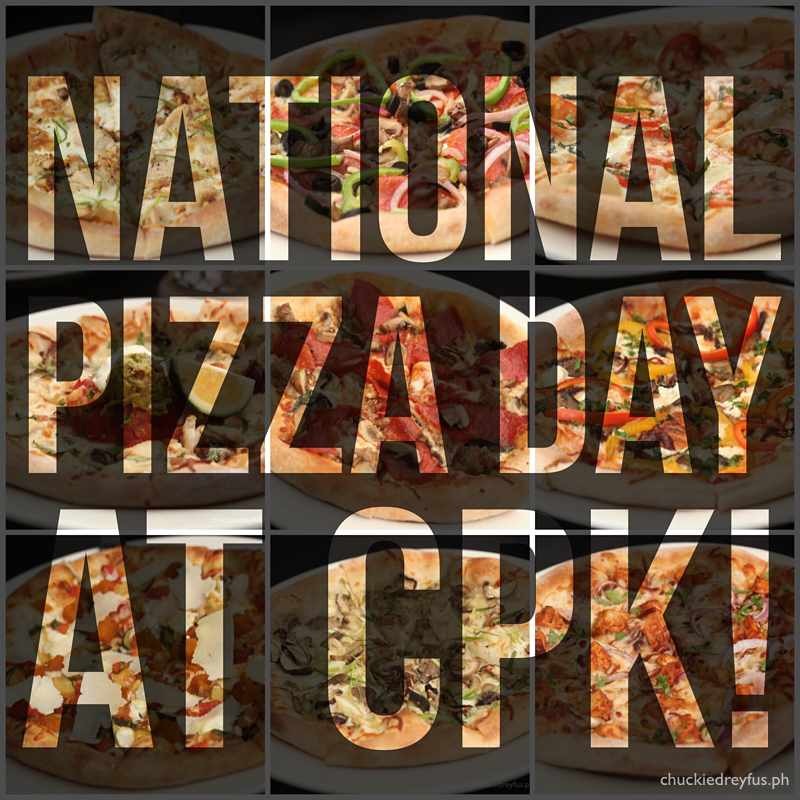 It’s National Pizza Day at CPK! Ever heard of National Pizza Day? 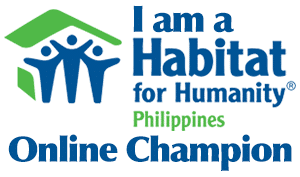 If you haven’t yet, you’ll be glad you finally did. 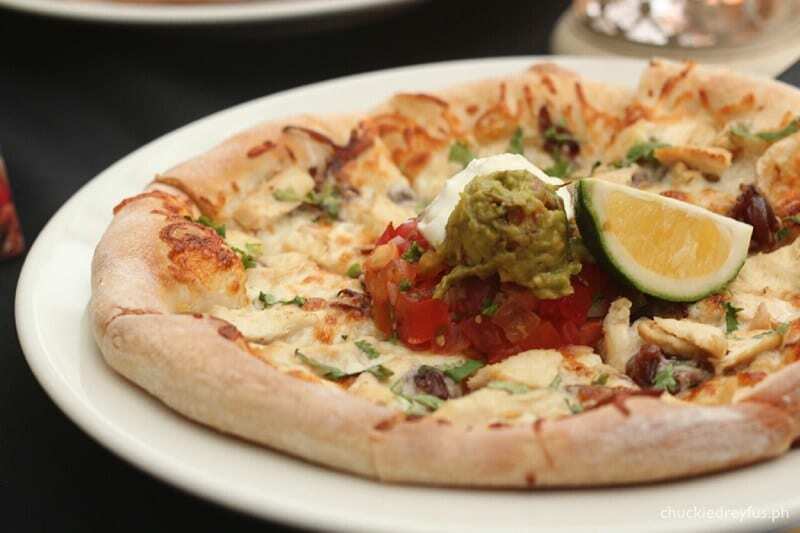 National Pizza Day has recently become one of California Pizza Kitchen’s most eagerly anticipated celebrations… and with good reason. During National Pizza Day, simply order any of California Pizza Kitchen’s 12 authentic hand-stretched pizza and your 2nd pizza is on the house! 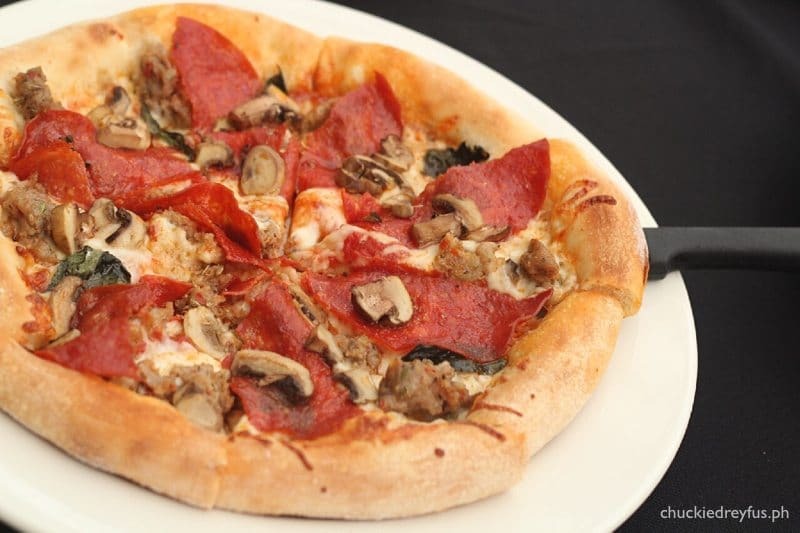 For your free pizza, you can choose from any of these pizza flavors from CPK: Traditional Cheese, Italian Sausage + Pepper or Original Pepperoni. It gets better, folks. 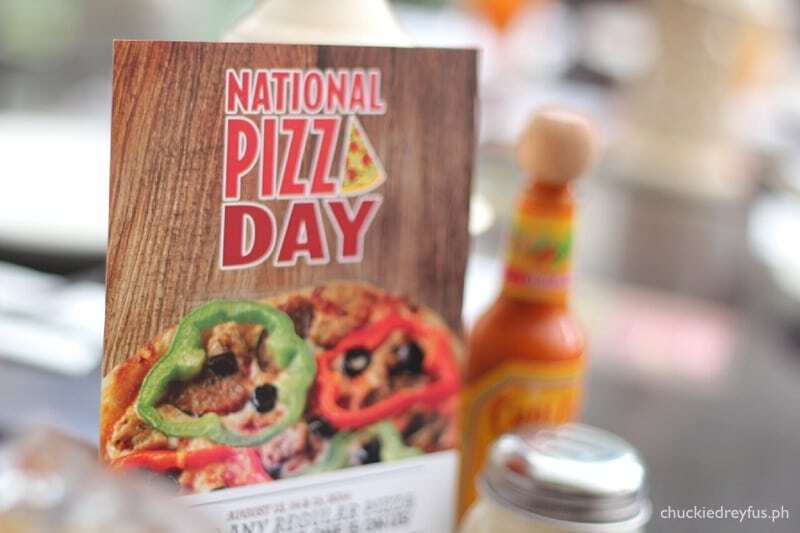 If you were one of those who celebrated National Pizza Day last year with CPK (or even if you didn’t), you’ll be glad to know that this year, this much anticipated event will be celebrated for three (3) consecutive days – August 13, 14 & 15! 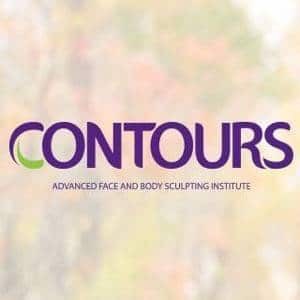 Now, everyone is sure to have their fill. 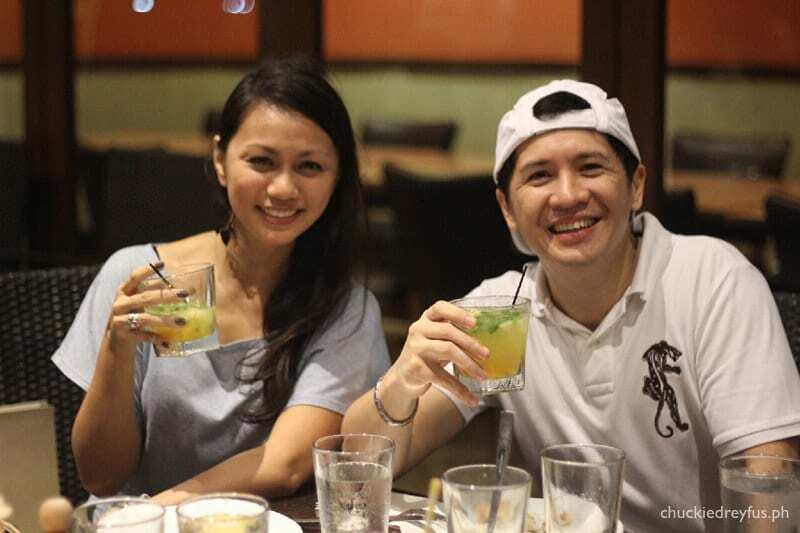 During our recent visit to CPK, they proudly showcased their amazing and vast selection of hand-pulled pizzas which drew in oooohs and aaaahs from guests and customers alike. And their pizza creations are nothing to sneeze at either. 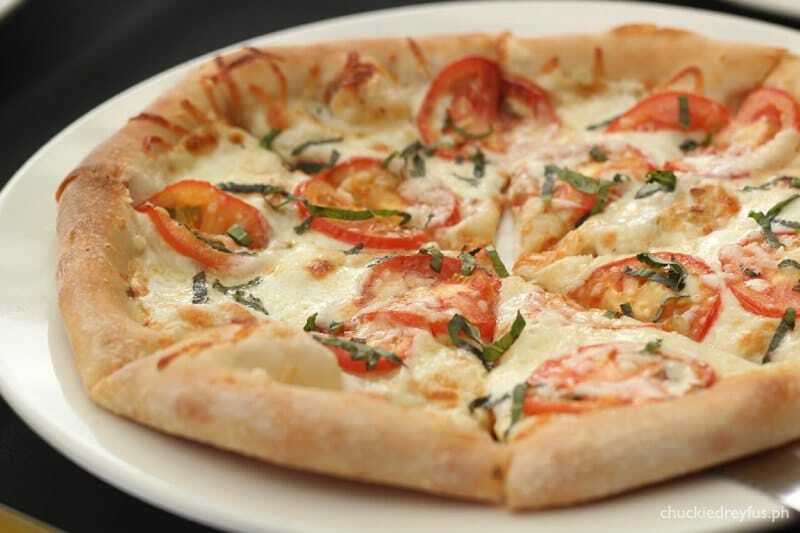 Whether they are classic well-loved flavors or unique signature pizza concepts, all of California Pizza Kitchen’s offerings are absolutely delicious. Spicy Italian sausage, rustic pepperoni, mushrooms, Mozzarella, onions, green peppers, olives and oregano. 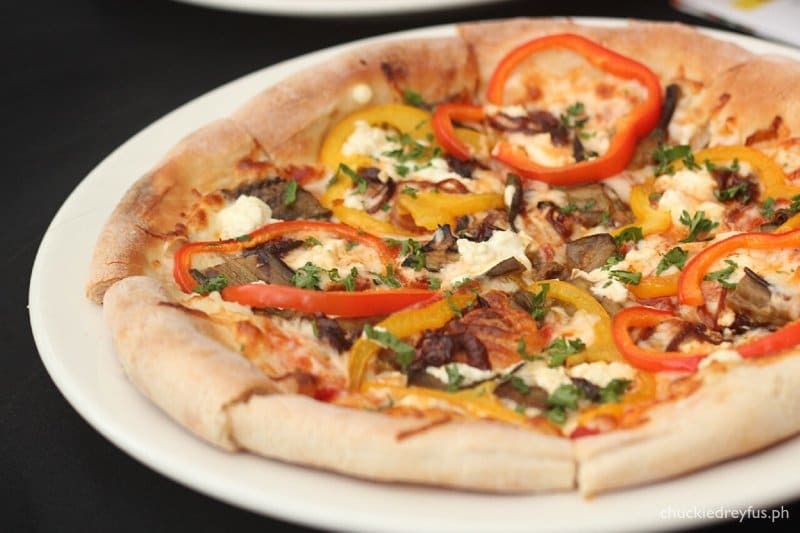 Goat cheese, Mozzarella, sauteed onions, grilled eggplant, red & yellow peppers, parsley and tomato sauce. A combination of rustic and spicy pepperoni with fresh Mozzarella and oregano. Just Mozzarella and fresh Mozzarella! Really fresh pineapples (not the usual canned type! ), Canadian bacon, Mozzarella and slivered scallions. 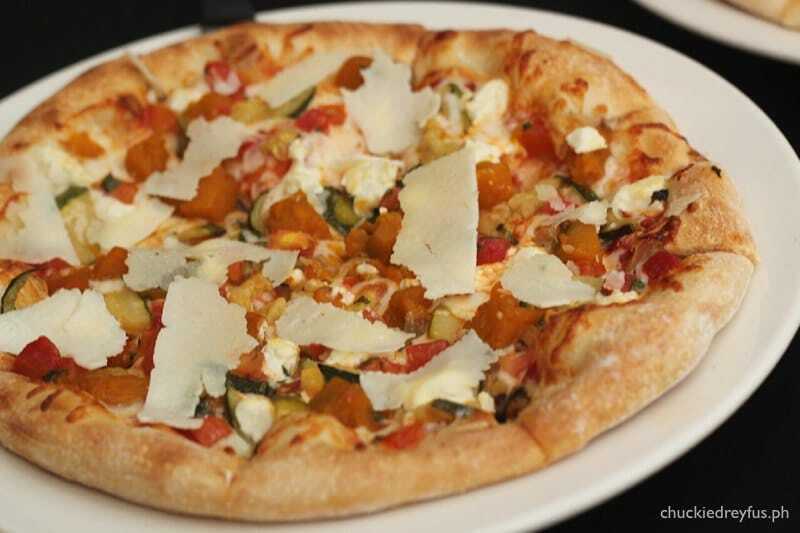 Grilled zucchini, roasted squash, tomatoes, garlic, fresh basil, Mozzarella, Goat cheese and Pecorino Romano. 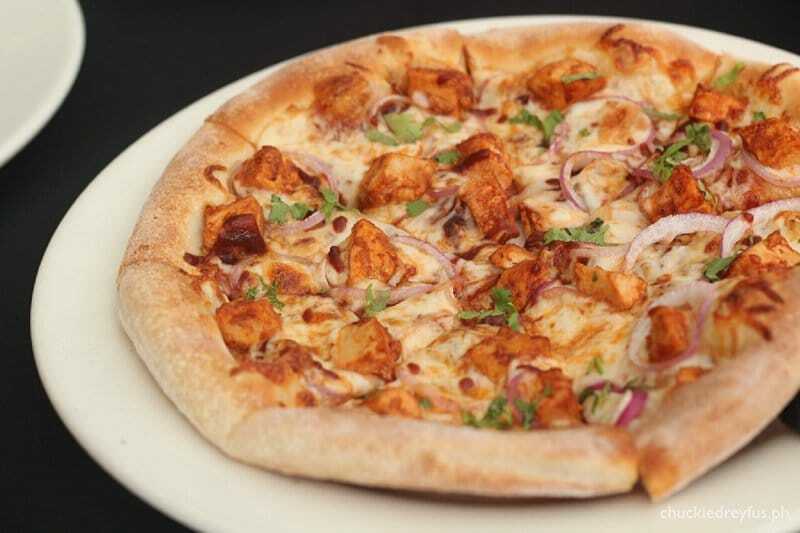 CPK’s most famous pizza in their own BBQ sauce, smoked Gouda, red onions and cilantro. Even the chicken is deliciously marinated in BBQ sauce! Tex Mex goodness! Grilled chicken breast, caramelized onions, Mozzarella and cilantro topped with tomato salsa, sour cream and fresh guacamole. Mushrooms, rustic pepperoni, spicy Italian sausage, basil, Mozzarella and oregano. 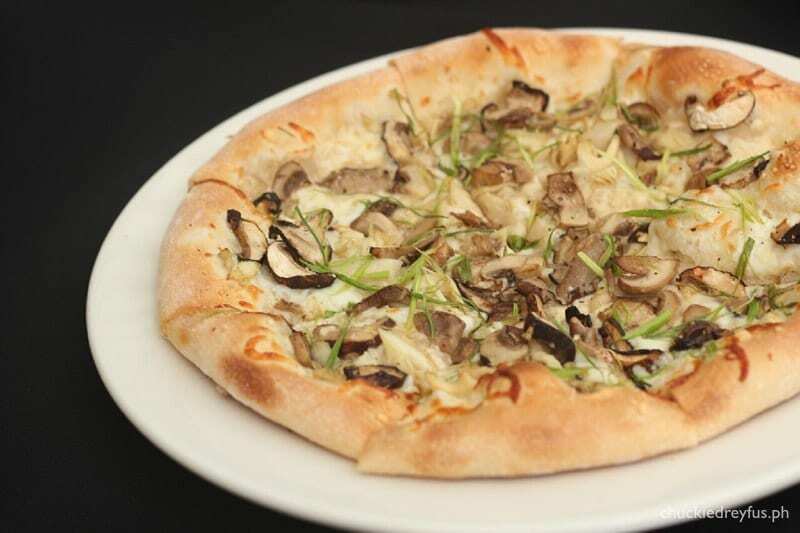 3 different kinds of mushrooms: Abalone, Shiitake & button, Pecorino Romano, Mozzarella, cracked black pepper with slivers of scallions. 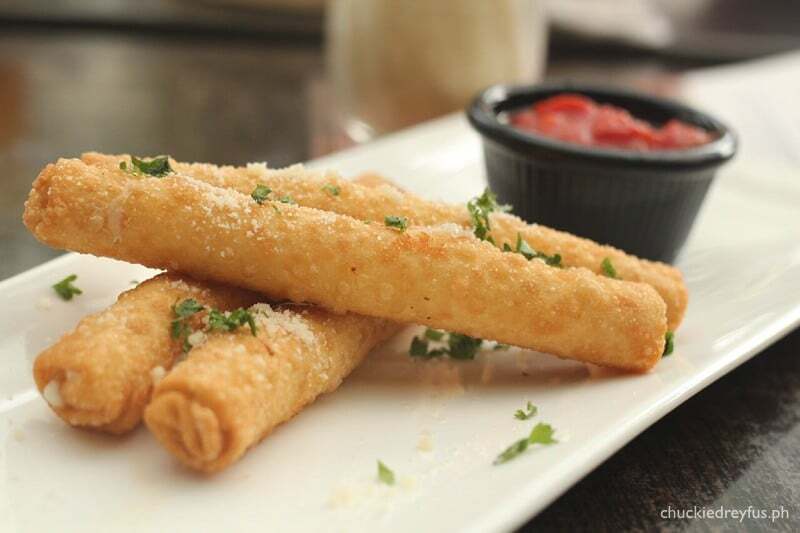 A vegetarian’s treat, too! Sliced tomatoes, basil, Mozzarella, Monterey Jack, smoked Gouda and Pecorino Romano. 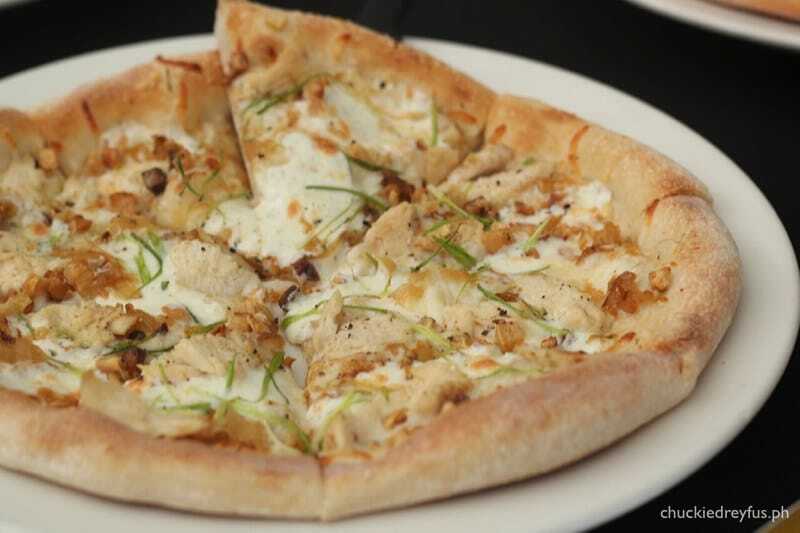 Chicken breast, sweet caramelized onions, fresh Mozzarella, Parmesan, slivered scallions, cracked black pepper and extra virgin olive oil. I was also able to try out their Fried Mozzarella which I immediately fell in love with. Apart from this dish tasting oh so good, I’m also a sucker for all kinds of cheese. Well, just like Stephen Bishop (or James Taylor) I can go “on and on” about CPK’s incredible pizzas. 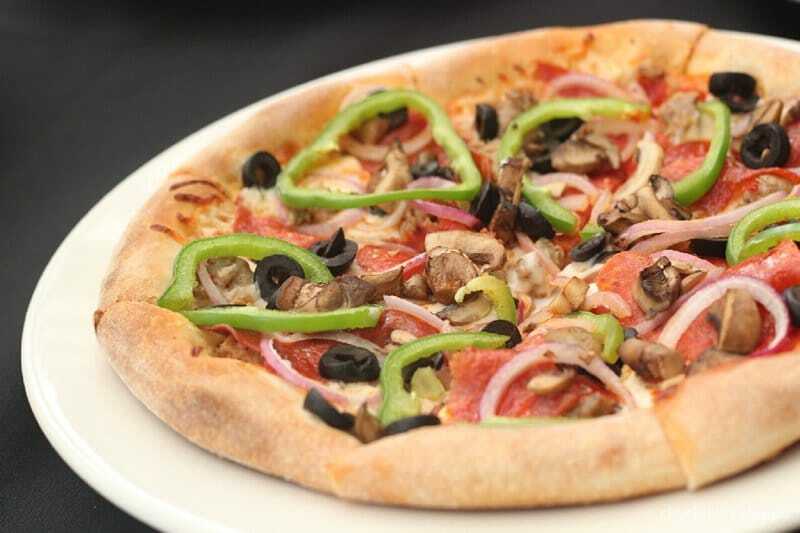 But as they all say, the proof of the pudding is in the tasting… so, best you head over to California Pizza Kitchen and celebrate National Pizza Day with fellow pizza lovers like me and countless others. Mark the date, folks! 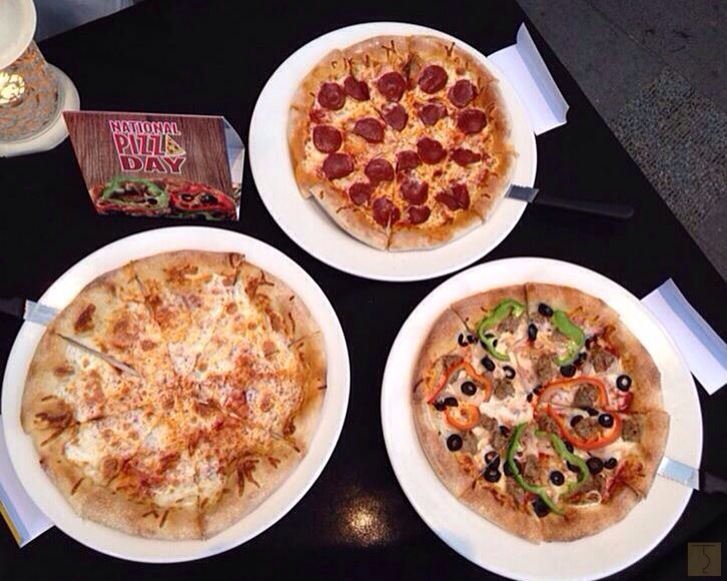 National Pizza Day happens on August 13, 14 & 15, 2014 and will be celebrated in all branches of California Pizza Kitchen! 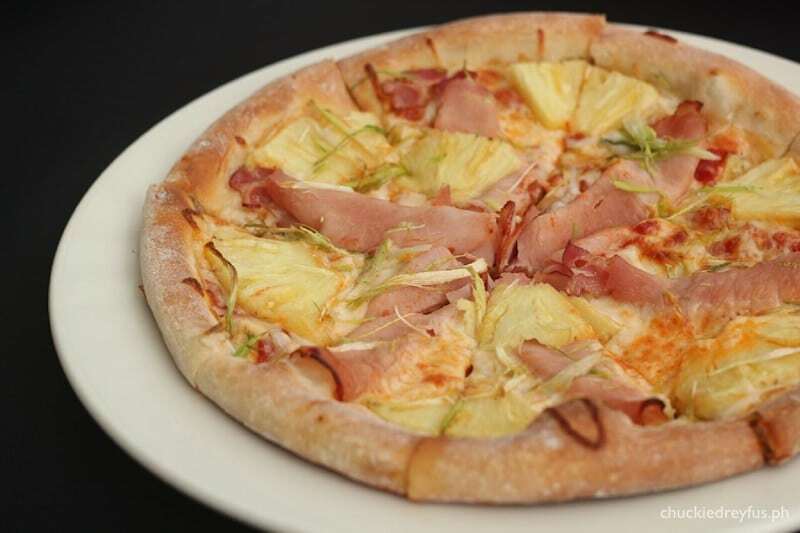 Check out the California Pizza Kitchen branches below to find out which one is closest to you. W Global Center, 30th St., cor. 9th Ave. Happy National Pizza Day, everyone!